Wowtrim has been producing Jeep interior dash kits for nearly 20 years. We have never used cheap, poor quality materials for manufacturing. That`s why we sell only top-notch real wood, wood grain, aluminum, camouflage & carbon fiber trim kits for Jeep to provide sustainable luxury to your car interior design. Jeep Cherokee Sport 1997, 1998, 1999, 2000, 2001, Full Interior Kit, 44 Pcs. Jeep Cherokee Sport 1997, 1998, 1999, 2000, 2001, Basic Interior Kit, 29 Pcs. Jeep Grand Cherokee 2008, 2009, 2010, Without OEM Wood, Full Interior Kit, 82 Pcs. Jeep Grand Cherokee 2005, 2006, 2007, Interior Dash Kit, Laredo, With "SRT-8" Logo, Without Navigation System, 69 Pcs. Jeep Grand Cherokee 2005, 2006, 2007, Interior Dash Kit, Laredo, With "SRT-8" Logo, With Navigation System, 69 Pcs. Jeep Grand Cherokee 2005, 2006, 2007, Limited With Navigation System, Full Interior Kit, Covers OEM, 60 Pcs. Jeep Grand Cherokee 2005, 2006, 2007, Laredo With Navigation System, Full Interior Kit, 63 Pcs. Jeep Grand Cherokee 2005, 2006, 2007, Limited Without Navigation System, Full Interior Kit, Covers OEM, 59 Pcs. Jeep Grand Cherokee 2005, 2006, 2007, Laredo Without Navigation System, Full Interior Kit, 63 Pcs. Jeep Grand Cherokee 2016, 2017, 2018, With 8.4 Inch Touch Screen Display, Full Interior Kit, 45 Pcs. Jeep Grand Cherokee 2016, 2017, 2018, With 5 Inch Touch Screen Display, Full Interior Kit, 44 Pcs. Jeep Grand Cherokee 2014-2015, With 5 Inch Touch Screen Display, Full Interior Kit, 45 Pcs. Jeep Grand Cherokee 2014-2015, With 8.4 Inch Touch Screen Display, Full Interior Kit, 46 Pcs. Jeep Grand Cherokee 1996, 1997, 1998, Full Interior Kit, 28 Pcs. Jeep Grand Cherokee 2011, 2012, 2013, Full Interior Kit, 47 Pcs. Jeep Grand Cherokee 2008, 2009, 2010, Without OEM Wood, Basic Interior Kit, 52 Pcs. Jeep Grand Cherokee 2005, 2006, 2007, Limited With Navigation System, Basic Interior Kit, Covers OEM, 32 Pcs. Jeep Grand Cherokee 2005, 2006, 2007, Laredo With Navigation System, Basic Interior Kit, 35 Pcs. Jeep Grand Cherokee 2005, 2006, 2007, Limited Without Navigation System, Basic Interior Kit, Covers OEM, 31 Pcs. Jeep Grand Cherokee 2005, 2006, 2007, Laredo Without Navigation System, Basic Interior Kit, 34 Pcs. Jeep Grand Cherokee 2003-2004, Interior Dash Kit, Limited, 28 Pcs. Jeep Grand Cherokee 1999, 2000, 2001, 2002, Interior Dash Kit, Laredo, Regular Or Match OEM, 28 Pcs. Jeep Grand Cherokee 2003-2004, Interior Dash Kit, Laredo, 29 Pcs. Jeep Grand Cherokee 1992, 1993, 1994, 1995, Interior Kit, 14 Pcs. Jeep Grand Cherokee 2014-2015, With 5 Inch Touch Screen Display, Basic Interior Kit, 31 Pcs. Jeep Grand Cherokee 2016, 2017, 2018, With 8.4 Inch Touch Screen Display, Basic Interior Kit, 31 Pcs. Jeep Grand Cherokee 2014-2015, With 8.4 Inch Touch Screen Display, Basic Interior Kit, 32 Pcs. Jeep Grand Cherokee 2016, 2017, 2018, With 5 Inch Touch Screen Display, Basic Interior Kit, 30 Pcs. Jeep Grand Cherokee 2011, 2012, 2013, Basic Interior Kit, 36 Pcs. Jeep Grand Cherokee 1996, 1997, 1998, Basic Interior Kit, 16 Pcs. Jeep Grand Cherokee 2008, 2009, 2010, Without OEM Wood, Mini Interior Kit, 38 Pcs. Jeep Grand Cherokee 2005, 2006, 2007, 2008, 2009, 2010, Exterior Kit, Full Interior Kit, 10 Pcs. Jeep Grand Cherokee 2011, 2012, 2013, 2014, 2015, 2016, 2017, 2018, Optional Over OEM Wood Interior Kit, 9 Pcs. Jeep Grand Cherokee 2011, 2012, 2013, 2014, 2015, 2016, 2017, 2018, Stainless Steel Pillar Posts, 8 Pcs. Jeep Grand Cherokee 2011, 2012, 2013, 2014, 2015, 2016, 2017, 2018, Exterior Kit, 6 Pcs. Jeep Grand Cherokee 2014, 2015, 2016, 2017, 2018, Optional Door Sills Interior Kit, 6 Pcs. Jeep Grand Cherokee 2005, 2006, 2007, 2008, 2009, 2010, Basic Exterior Kit, 6 Pcs. Jeep Grand Cherokee 2008, 2009, 2010, Interior Dash Kit, Optional Above Glove Box Trim With Chrome SRT8 Logo, 8 Pcs. Jeep Grand Cherokee 2008, 2009, 2010, Interior Dash Kit, Optional Above Glove Box Trim With Chrome Jeep Logo, 9 Pcs. Jeep Grand Cherokee 2008, 2009, 2010, Interior Dash Kit, Optional Rear Overhead DVD Entertainment, 4 Pcs. Jeep Grand Cherokee 2008, 2009, 2010, Interior Dash Kit, Optional Above Glove Box Trim W/o Logo, 2 Pcs. Jeep Grand Cherokee 2011, 2012, 2013, 2014, 2015, 2016, 2017, 2018, Optional Overhead Console Interior Kit, 6 Pcs. Jeep Grand Cherokee 2008, 2009, 2010, Optional Door Interior Trim Kit, 4 Pcs. Jeep Grand Cherokee 2005, 2006, 2007, 2008, 2009, 2010, Exterior Kit, Optional Fuel Door, 1 Pcs. Jeep Grand Cherokee 2011, 2012, 2013, 2014, 2015, 2016, 2017, 2018, Exterior Kit, Optional Fuel Door, 1 Pcs. Jeep Wrangler 2007, 2008, 2009, 2010, With Automatic Transmission, Full Interior Kit, 88 Pcs. Jeep Wrangler 2007, 2008, 2009, 2010, With Manual Transmission, Full Interior Kit, 84 Pcs. Jeep Wrangler 2007, 2008, 2009, 2010, Optional Door Interior Trim Kit (4 Door Only), 30 Pcs. Jeep Wrangler 2011, 2012, 2013, 2014, 2015, 2016, 2017, With Automatic Transmission, Full Interior Kit, 74 Pcs. Jeep Wrangler 2011, 2012, 2013, 2014, 2015, 2016, 2017, With Manual Transmission, Full Interior Kit, 67 Pcs. Jeep Wrangler 2007, 2008, 2009, 2010, Basic Interior Kit, 41 Pcs. Jeep Wrangler 2007, 2008, 2009, 2010, Optional Door Interior Trim Kit (2 Door Only), 22 Pcs. Jeep Wrangler 1991, 1992, 1993, 1994, 1995, Interior Dash Kit, With Door Panels, With Half Doors, 17 Pcs. Jeep Wrangler 2007, 2008, 2009, 2010, Mini Interior Kit, 26 Pcs. Jeep Wrangler 2011, 2012, 2013, 2014, 2015, 2016, 2017, Basic Interior Kit, 36 Pcs. Jeep Wrangler 2003, 2004, 2005, 2006, Main Interior Kit, 27 Pcs. Jeep Wrangler 2007, 2008, 2009, 2010, 2011, 2012, 2013, 2014, Interior Dash Kit, Optional Rear Overhead Light And Speakers, 3 Pcs. Jeep Wrangler 2003, 2004, 2005, 2006, Addition To Main Interior Kit, 7 Pcs. Jeep Wrangler 1991, 1992, 1993, 1994, 1995, Interior Dash Kit, Without Door Panels, 15 Pcs. Jeep Wrangler 2003, 2004, 2005, 2006, Optional Front Door Panel Interior Kit, 2 Pcs. Jeep Wrangler 2011, 2012, 2013, 2014, 2015, 2016, 2017, Interior Dash Kit, Optional Front Door Sills With Chrome Jeep Lettering, 24 Pcs. Jeep Wrangler 2003, 2004, 2005, 2006, Optional Rear Overhead Light/Speaker Interior Kit, 2 Pcs. Jeep Wrangler 2003, 2004, 2005, 2006, Exterior Kit, 9 Pcs. Jeep Wrangler 2003, 2004, 2005, 2006, Optional Manual Transmission Console Interior Kit, 8 Pcs. Jeep Wrangler 2003, 2004, 2005, 2006, Optional Automatic Transmission Console Interior Kit, 3 Pcs. Jeep Wrangler 2007, 2008, 2009, 2010, 2011, 2012, 2013, 2014, 2015, 2016, 2017, Exterior Kit, 18 Pcs. Jeep Cherokee 2014, 2015, 2016, 2017, 2018, Without 4WD, With Automatic Climate Control, Full Interior Kit, 46 Pcs. Jeep Cherokee 2014, 2015, 2016, 2017, 2018, With 4WD, With Automatic Climate Control, Full Interior Kit, 47 Pcs. Jeep Cherokee 2014, 2015, 2016, 2017, 2018, Without 4WD, With Automatic Climate Control, Basic Interior Kit, 25 Pcs. Jeep Cherokee 2014, 2015, 2016, 2017, 2018, With 4WD, With Automatic Climate Control, Basic Interior Kit, 26 Pcs. Jeep Cherokee 2014, 2015, 2016, 2017, 2018, Exterior Kit, 8 Pcs. Jeep Cherokee 2014, 2015, 2016, 2017, 2018, Stainless Steel Pillar Posts, 8 Pcs. Jeep Cherokee 2014, 2015, 2016, 2017, 2018, Exterior Kit, Optional Fuel Door, 1 Pcs. Jeep Commander 2008, 2009, 2010, Regular Kit Or Over OEM Wood, Full Interior Kit, 133 Pcs. Jeep Commander 2006-2007, Non Match OEM, Full Interior Kit, 132 Pcs. Jeep Commander 2006-2007, Non Match OEM, Basic Interior Kit, 82 Pcs. Jeep Commander 2008, 2009, 2010, Regular Kit Or Over OEM Wood, Basic Interior Kit, 81 Pcs. Jeep Commander 2008, 2009, 2010, Regular Kit Or Over OEM Wood, Mini Interior Kit, 28 Pcs. Jeep Commander 2006-2007, Non Match OEM, Optional Rear Console Interior Kit, W/o Entertainment System, 1 Pcs. Jeep Commander 2006-2007, Non Match OEM, Optional Rear Console Interior Kit, With Entertainment System, 3 Pcs. Jeep Commander 2006, 2007, 2008, 2009, 2010, Exterior Kit, 9 Pcs. Jeep Compass/Patriot 2007-2008, With Automatic Transmission, W/o Navigation System, Full Interior Kit, 55 Pcs. Jeep Compass/Patriot 2007-2008, With Automatic Transmission, With Navigation System, Full Interior Kit, 53 Pcs. Jeep Compass 2010, 2011, 2012, 2013/Compass Sport 2014, 2015, 2016, 2017/Patriot 2010-2017, With Power Windows, Full Interior Kit, 32 Pcs. Jeep Compass/Patriot 2007-2008, With Automatic Transmission, W/o Navigation System, Basic Interior Kit, 30 Pcs. Jeep Compass/Patriot 2007-2008, With Automatic Transmission, With Navigation System, Basic Interior Kit, 28 Pcs. Jeep Compass 2010, 2011, 2012, 2013/Compass Sport 2014, 2015, 2016, 2017/Patriot 2010-2017, With Power Windows, Basic Interior Kit, 16 Pcs. Jeep Compass/Patriot 2009, With Power Windows, Main Interior Kit, 15 Pcs. Jeep Compass/Patriot 2007, 2008, 2009, 2010, 2011, 2012, 2013, 2014, 2015, 2016, 2017, Optional Door Interior Trim Kit, 10 Pcs. Jeep Compass/Patriot 2009, Addition To Main Interior Kit, 16 Pcs. Jeep Compass 2007, 2008, 2009, 2010, 2011, 2012, 2013, 2014, 2015, 2016, 2017, Exterior Kit, 13 Pcs. Jeep Liberty 2008, 2009, 2010, 2011, 2012, Full Interior Kit, 63 Pcs. Jeep Liberty 2005, 2006, 2007, Full Interior Kit, 29 Pcs. Jeep Liberty 2002, 2003, 2004, Full Interior Kit, 29 Pcs. Jeep Liberty 2008, 2009, 2010, 2011, 2012, Basic Interior Kit, 28 Pcs. Jeep Liberty 2002, 2003, 2004, Basic Interior Kit, 25 Pcs. Jeep Liberty 2005, 2006, 2007, Basic Interior Kit, 24 Pcs. Jeep Liberty 2008, 2009, 2010, 2011, 2012, Mini Interior Kit, 17 Pcs. Jeep Liberty 2008, 2009, 2010, 2011, 2012, Optional Door Speaker Surround Interior Kit, 4 Pcs. Jeep Liberty 2008, 2009, 2010, 2011, 2012, Exterior Kit, 13 Pcs. Jeep Liberty 2008, 2009, 2010, 2011, 2012, Interior Dash Kit, Optional Passenger Side Above Air Bag Trim With Chrome "Jeep" Logo, 8 Pcs. Jeep Liberty 2008, 2009, 2010, 2011, 2012, Interior Dash Kit, Optional Passenger Side Above Air Bag Trim W/o Logo, 1 Pcs. 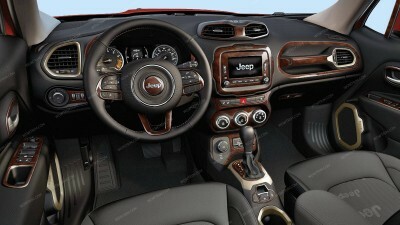 Jeep Renegade 2015, 2016, 2017, Full Interior Kit, 44 Pcs. Jeep Renegade 2015, 2016, 2017, Basic Interior Kit, 38 Pcs. Jeep Renegade 2015, 2016, 2017, Stainless Steel Pillar Posts, 8 Pcs. Jeep Renegade 2015, 2016, 2017, Exterior Kit, 8 Pcs.